LAUSANNE, Switzerland – No. 23 Philippines has secured a place in Friday’s finale of the six-nation East Asia Baseball Cup, which is being staged in Jakarta, Indonesia. On Wednesday, the Philippines used a 4-0 shutout against unranked Singapore to earn the chance to defend the title, which it captured in 2012. The winner of the East Asia Cup in Jakarta will qualify for the 27th Asia Baseball Championship in Taichung, Taiwan this September, where top-ranked Japan will be looking to capture its sixth straight title ahead of the inaugural Premier12™ Pro National Team Championship in November. Also on Wednesday, No. 31 Sri Lanka outplayed Hong Kong, 7-1, while No. 38 Indonesia defeated No. 30 Thailand, 9-2. National Team	W	L	Pct. Indonesia, Hong Kong and Sri Lanka are all in the hunt to play in the championship finale Friday. In a key match-up Thursday, Indonesia controls its own fate and can earn a spot in Friday’s finale by beating undefeated and already qualified Philippines. 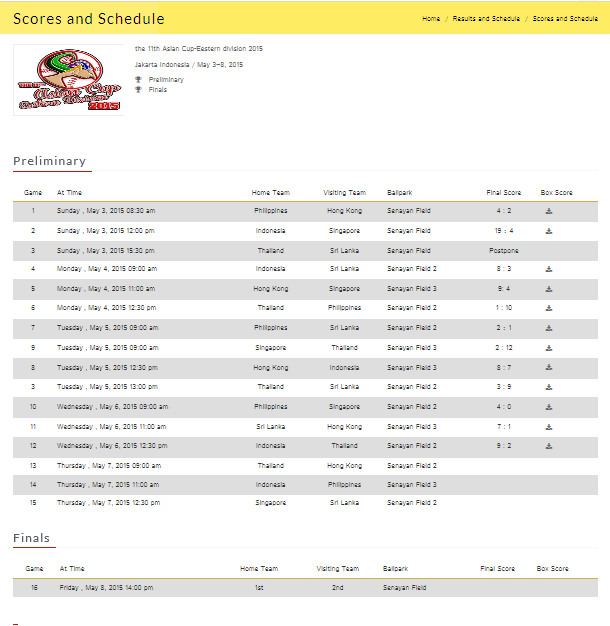 Both Hong Kong and Sri Lanka will have close eyes on the Indonesia-Philippines result, hoping to finish tied for second place, where officials would have to apply the international tie-break system. Hong Kong’s final Round-Robin match is against Thailand, while Sri Lanka faces Singapore. 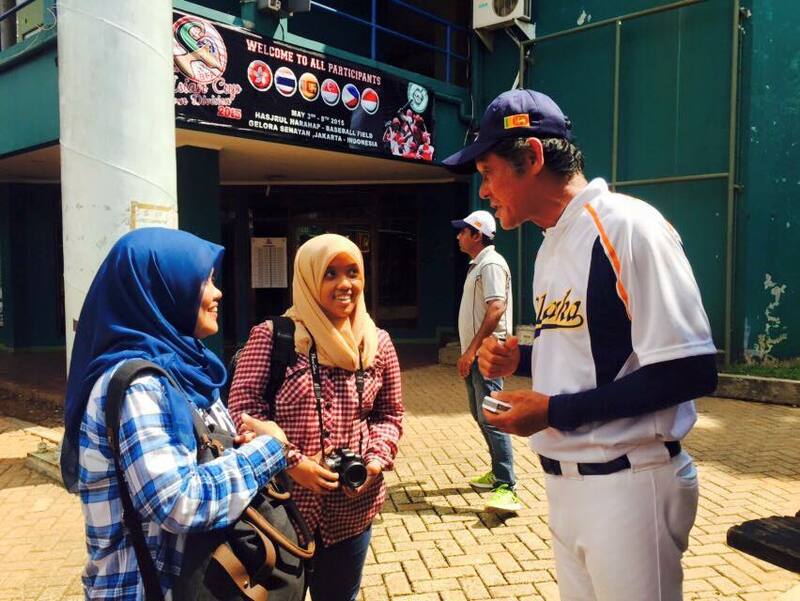 The 12th East Asia Baseball Cup is being hosted by the Indonesia Baseball Softball Federation in conjunction with the Baseball Federation of Asia – the World Baseball Softball Confederation’s baseball arm in Asia.